Corydoras get a lot of attention, but the family they belong to, Callichthyidae, also has a number of other genus ranging from the similar Aspidoras & Brochis to the more elongate Dianema and Megalechis. 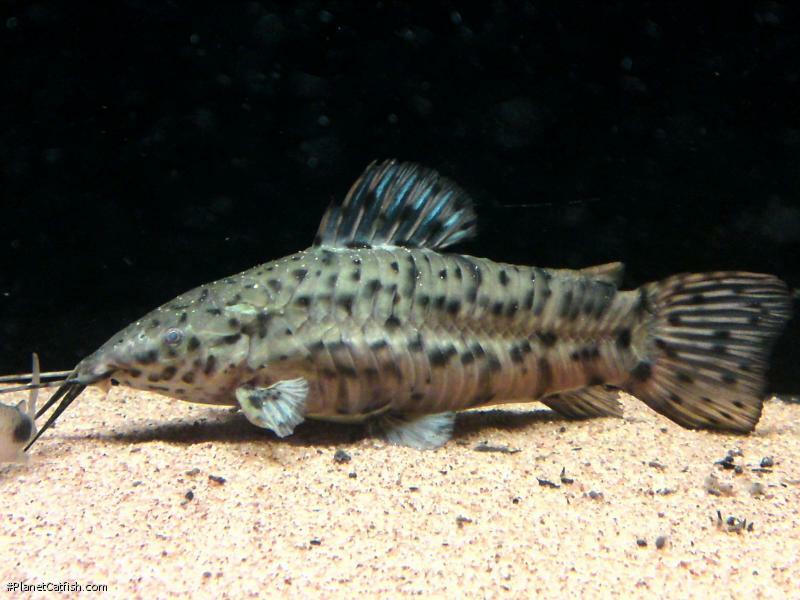 All of the Callichthyids possess the dual row of armoured plates along their flanks giving rise to the generic name of Armoured Catfish. There are a number of new scientific names and genera arising from a revisions of Hoplosternum that will take time to become widely used. You will find these fish in most published literature under previous names; Hoplosternum (recently) or Callichthys (before the 1980s). Essentially the fish commonly known as H. thoractum is now placed in a new genus Megalechis as M. thoracata. The similar M. picta can be differentiated by a vertical black bar in the caudal fin which also has a black edge. As an aside, the other commonly available species affected by this revision is H. pectorale which is placed in a new genus of dwarf armoured cats as Lepthoplosternum pectorale. H. littorale remains as such. Irrespective of the scientific world, the common name Hoplo appears to have stuck. One of the more active catfish that is seen during the day, Hoplos can be quite a personality in a community aquarium. In fact, their only down-side is their gregarious, boisterous nature. They are commonly bred by hobbyists and a tank of 1" long home-bred youngsters can often be found for sale. These tend to be much more competitively priced than wild-caught fish and are also more hardy." Type Locality Mana R., French Guiana. Etymology Megalechis: From the Greek megas, meaning large and lekis, meaning plate; in allusion to the extreme development of the coracoid bones on the breast of fully developed males. Size 155mm or 6.1" SL. Find near, nearer or same sized spp. Identification Can be distinguished from the similar M. picta by the absence of a conspicuous dark vertical band in the caudal fin. In M . thoracata the caudal fin is all-over greyish. Sexing A sexually mature male exhibits a thickened first pectoral ray which ranges from orange / brown to scarlet in colour. Other Parameters Able to survive in poor water conditions. Feeding Not a fussy eater, most foods are accepted. Bloodworm and sinking catfish tablets are best, but once established will eat flakes at the surface. Larger fish will take cichlid tablets / doromin. Furniture Megalechis can be found in South American low-oxygen plant infested pools, almost puddles in some cases, but will happily live in most set-ups. Compatibility Peaceful and not predatory, although larger specimens can be downright boisterous at feeding time. Breeding Well conditioned pairs should spawn readily, but a large water change should prompt spawning of a more reluctant pair. Mature fish are typically 18 months to 2 years old. The male builds a large bubble nest, therefore surface movement from filtration should be kept to a minimum. A mass of floating plants (Wysteria is good) are necessary to anchor the nest. After spawning the male guards the nest. The eggs within should hatch after 4 days. The fry are free swimming after 2 days and should be fed newly hatched brine shrimp. They will grown rapidly and should be fed small amounts frequently for the first 6 - 8 weeks during which they can attain sizes of up to 1.5''. References Histoire naturelle des poissons v. 15, pp309, Pl. 443. There are 186 registered keepers, view all "my cats" data.